Never Again? Or, History Repeats Itself? When Hitler started to expand Germany, his big lie was that he was protecting German speaking citizens of neighboring countries who really wanted to be free to join Germany. He re-militarized the Saarland, then the Rhein. Other countries ignored his military build-ups and violation of treaty because they were tired of war after The Great War, or the war to end all wars, now called WW1. Then Hitler moved into neighboring countries, annexing Austria through a “vote” of the people called the Anschluss, enforced by brown shirted thugs at the polls. Then the German speaking areas of Checkoslovakia, and so on. It was not until he invaded Poland that people acted to stop him. Once expanding, he set up the non-German supporters as enemies. He made Jews and others register and denied them citizenship. He outlawed homosexuality, implemented the Hitler youth to build a new super race and form a stronger Germany. Now Vladamir Putin has invaded and taken over the Crimea, a part of the Ukraine. Ukraine agreed to give up nuclear weapons to be protected, but no one is protecting them. Russian special forces in plain uniforms oversaw the “vote” to join Russia in Crimea that was 96% in favor. Now Russian thugs are taking over several parts of Ukraine and are active in Moldova, Georgia and Estonia. They say they are there to protect Russian speaking people. They have started a Russian youth fitness program to restore military power. Putin outlawed homosexuality and other non-accepted behavior. Now they are starting to try to register Jews in Ukraine. Never again? Do we really mean it? Or are we truly the modern Neville Chamberlains, too war weary, too happy in our lives, the suffering of others so far away too distant? History really does repeat itself all too often. The leaflets were first reported in Israel’s Ynet News. The news site said the notices were circulated in the eastern Ukrainian city of Donetsk, demanding that Jews register — as well as provide a list of property they own — or else face deportation and revocation of citizenship. Pro-Russian activists have asserted partial control over some government buildings in that city. Ynet reported that the notices, sent as the Passover holiday began, were signed by Denis Pushilin, chairman of Donetsk’s temporary government. Pushilin said his organization did not distribute the leaflets. To back up his case, he said the notices were too sloppy to have been sent out by him. He said he has personally denied involvement in conversations with the Jewish community in both Kiev and Donetsk. Donetsk is one of the hotbeds of unrest in eastern Ukraine, and pro-Russian activists are still showing resistance to the terms of a recently struck diplomatic deal that aims to ease the tensions between the Ukrainian government and pro-Russian forces. After the notices to Jews began circulating, questions quickly were raised about their origin. 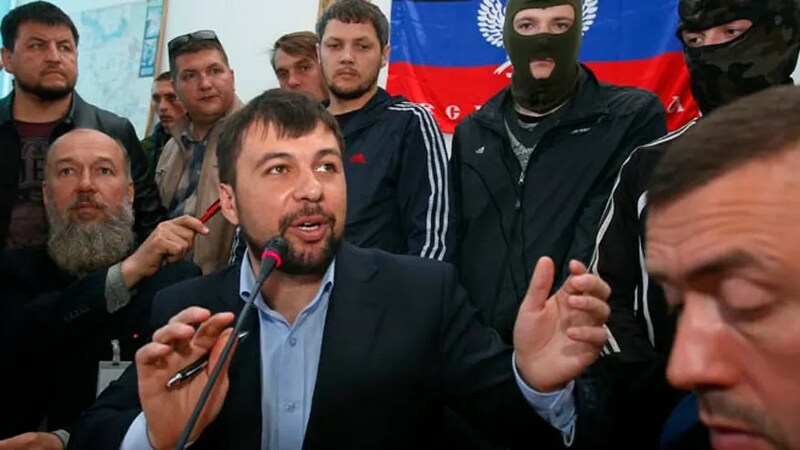 One aide to Pushilin told Fox News that pro-Ukrainian groups were circulating them as a false flag operation to cause an international incident. An Israeli official also told Fox News that the issue was brought to the attention of the Israeli embassy and foreign ministry, though they also presume the leaflets were handed out by local militia members as a kind of provocation. The official said the notices were distributed by masked men. Yet the accounts gained international attention as Kerry condemned the notices on the sidelines of the diplomatic summit in Geneva. The notices reportedly were sent to areas where pro-Russian activists have declared the region as a “people’s republic” in defiance of the central Ukrainian government. The notices reportedly demand Jews pay a $50 registration fee. State Department spokeswoman Marie Harf said Thursday that U.S. officials were trying to gather more information. Fox News’ Leland Vittert contributed to this report.